Dr. William Mitchell is a board certified, Naturopathic Physician with a primary interest in rheumatology. 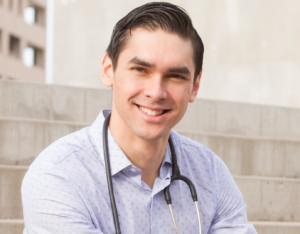 He earned his bachelor of science in Kinesiology and Health Sciences from Vanguard University of Southern California and his Naturopathic Doctorate from Southwest College of Naturopathic Medicine in Tempe, Arizona. His focus in rheumatology stems from his interests in immunology and autoimmune disease. His special interests include systemic lupus erythematosus, rheumatoid arthritis, psoriatic arthritis, ankylosing spondylitis and fibromyalgia. Dr. Mitchell is a proponent of a concept called “Integrative Medicine” and works alongside rheumatology specialists in Gilbert and Scottsdale, Arizona. In his free time, he enjoys being outdoors and is an avid rock climber. He also maintains the Podcast “Lupus Links” with the objectives of educating patients through experts interviews and dialogue related to autoimmune disease, connective tissue disorders and various health topics.